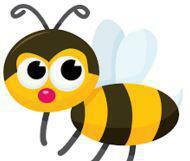 Welcome to the Bumblebees’ class page! We are in Year R and our teacher is Miss Simmonds. Our page will try to give you a taste of life in our class. It includes our latest year group newsletters and guidance for helping with learning at home. You will also be able to try out some of our favourite websites and see photos of some of our learning and achievements. Find out what your child has been studying over the year at school and how you can help them to learn further at home. Why not download this leaflet full of excellent information and one idea of using this booklet could be to use it as a reference - see what you notice your child can do. Use it as a prompt to explore and try new things together! Try these at home for some extra fun and challenge when learning. Jolly Phonics Song Sing along to learn your letter sounds. Topmarks Counting Have fun while learning to count. Counting Skills Have fun developing your counting ability. Enjoy some of our memorable moments from this years' learning (so far).